Emily, Jacob and Frank go on safari, but find the animals are being attacked by strange creatures. Who is transforming animals into monsters? And what is wrong with Frank? 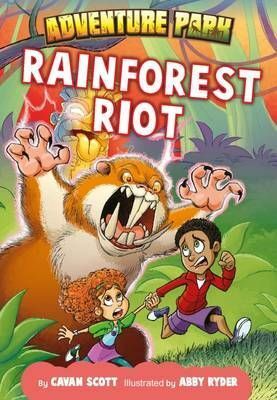 Rainforest RiotAdventure Park by Cavan ScottEmily, Jacob and Frank go on safari, but find the animals are being attacked by strange creatures. Who is transforming animals into monsters? And what is wrong with Frank?